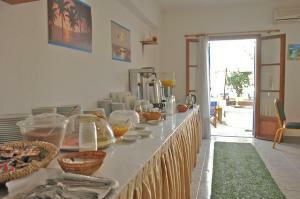 A nice typical family hotel located in the sunny resort of Lividia, Parikia in Paros. 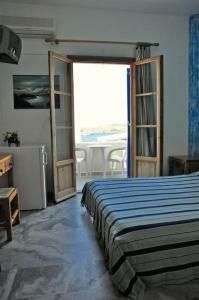 It is 40 metres from the white sandy beach of ParIkia and 400 metres from the main port of Paros. Our hotel rises above the enchanting locality of Livadia Paroikia in Paros, just 40 meters from the beach and 400 meters from the port. 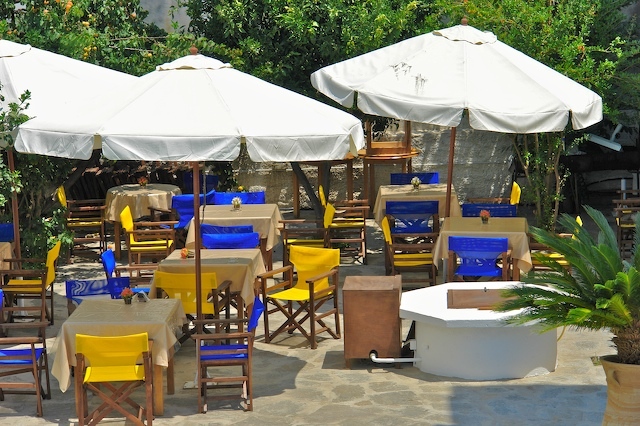 It has rooms with private bath and rerigerator, T.V., A/C, decorated with the traditional Cycladic style and a lovely lounge with satelite TV, bar, restaurant, internet cafe and swimming pool. 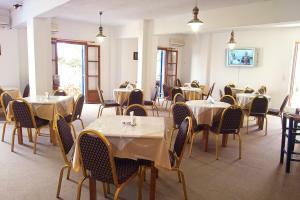 All these facilities guarantee that your holidays at the FRANGISCOS inn will be a memorable experience.